Valve is launching a brand new virtual reality (VR) headset in May, according to a teaser website. Dubbed the Valve Index, it appears the headset is of the company’s own making, and not one made by longtime VR partner HTC. 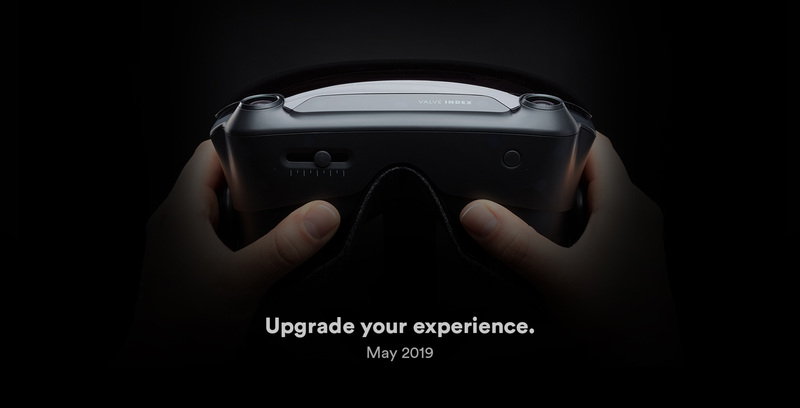 Beyond a darkened image of the headset, a tagline that reads “Upgrade your experience,” and the date May 2019, there’s no other information on the page. However, the image itself does give a fair bit away. The Index has as many as four wide-angle cameras, which suggests the headset will feature inside-out tracking like the Oculus Quest and other second-gen VR headsets. Inside-out tracking allows players to move around a room without the need for base stations or external tracking cameras. It also has an adjustment slider, likely for interpupillary distance (IPD), which allows the headset to accommodate people with eyes set closer or farther apart than average. Unfortunately, there aren’t any details regarding specs or peripherals. There’s also no indication if the Valve Index is a standalone headset or if a high-end PC will power it. Previous rumours suggested that Valve was working on a headset with a wider, 135-degree field of view. Rumour had it the company was working on a set of ‘knuckles’ motion controllers as well. However, the future of the rumoured headset was in question after Valve reportedly laid off a significant portion of its VR division. Regardless, the headset does exist, and we’ll likely learn more about it in May.